Martinotti’s Cafe and Wine shop, downtown Portland. 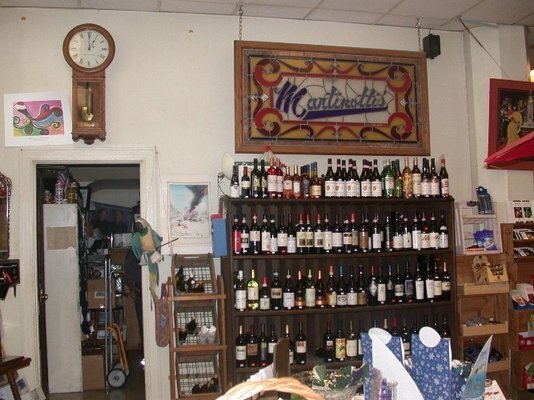 Martinotti’s has been in business since 1978, specializing in great Italian wines like Barolo and Barbaresco. “Portland may be a smallish town, but it’s a huge Italian wine market.” I read these words in the Oregonian, the daily newspaper, just recently(entire article linked below). 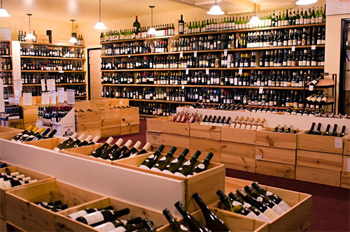 No surprise to me as I’ve noticed Italian wines often take up the largest section in most local wine shops and stores. Here in Portland it’s easy to transport yourself to the old familiar ‘boot’ by tasting the many different varieties of Italian wines in local restaurants and wine shops. It can be anything from a simple ruby-red made from the congenial Sicilian grape nocera or a robust picotendro from the Valle d’Aoste. The strange thing is, we have no Little Italy here in Portland, nor a large Italian- American population. So why all the fuss about Italian wines? According to wine authority Matt Kramer, there is an “ecology of factors,” including our weather (very Piedmont-like), to our prudence (typical Portland …and Italian wines have always been good bargains) to our pro-Italian retailers, importers and restaurateurs creating a market for Italian wine. The Italian wine scene in Portland began with Lorenzo Giusti, born in Lucca, Italy, who founded the New Italian Importing Co. When the Prohibition ended in 1933, Giusti involved himself in the wholesale beverage business. In 1978 Al Giusti sets the ball rolling by importing the first Brunello di Montalcino, from Argiano, to Portland. Liner & Elsen wine shop opens in 1990 with temperature-controlled wine lockers, presenting the idea of buying wine in futures (referring to wine that is made, but before it is bottled). They also invited Italian vintners like Angelo Gaja and Alfredo Currado of Vietti into the store to pour their wines. In 1999 Bob Liner and Matt Elsen sell their store and invest themselves in the import-and-wholesale business with Galaxy Wine Co., introducing intriguing wines from unfamiliar regions like Sardinia and Le Marche. 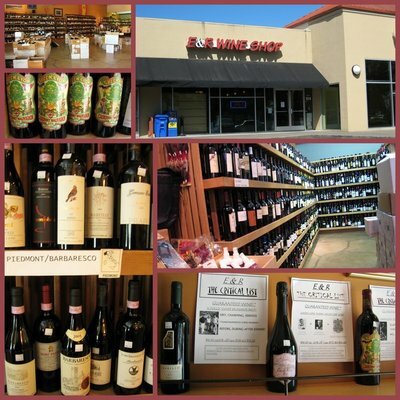 In 1990, E&R wine shop opens and just a few years later, Food & Wine magazine awards it one of the top five shops for Italian wine in the United States. 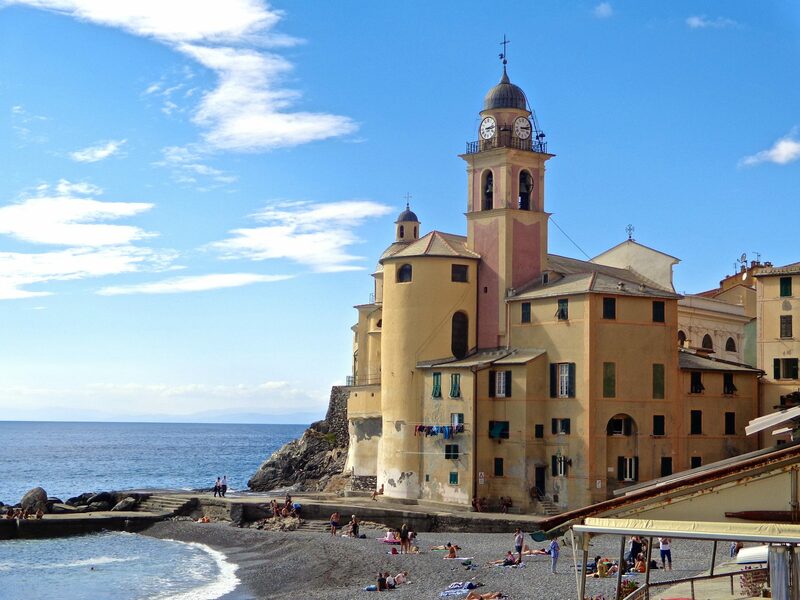 The owners Richard Elden and Ed Paladino travel to Italy annually, visiting 30-35 wineries at a time. Since then, Portland’s Italian-focused wine importers, restaurants and shops that have opened for business continue to supply the public’s demand for Italian wines, allowing most of the businesses to thrive and prosper. With all this talk about Italian wine, I may just go open that bottle of Vignamaggio Chianti Classico Reserva 2006 Castello di Monna Lisa that I have been saving tucked under the bed for a special occasion. Per la vostra buona salute! I must visit this place soon! Thanks for sharing.